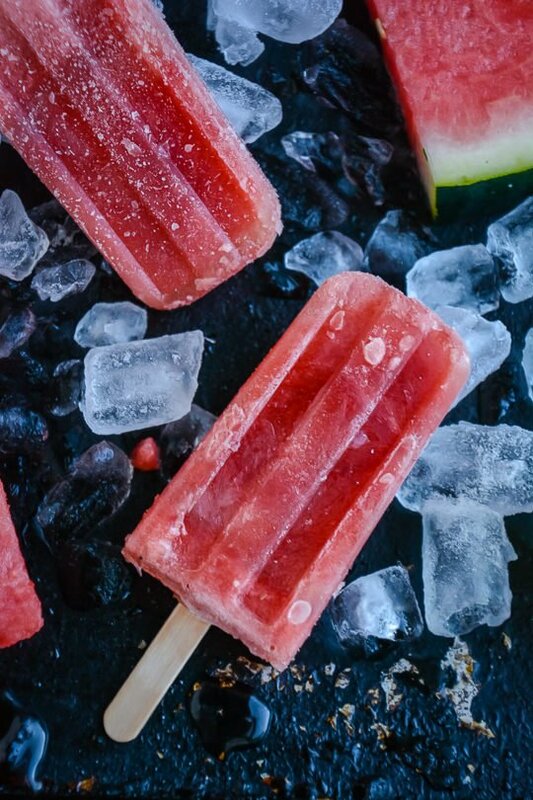 There is nothing better on a hot day than a super refreshing fruity popsicle. It’s been so hot here in Portland this summer that the unthinkable has happened, I’ve lost my appetite for ice cream. I whipped up an easy simple syrup infused with fresh ginger and basil and tossed it into the blender with some watermelon and a pinch of salt. The extra syrup is a great addition to your favorite fruit salad or mixed into a cocktail. You can also freeze the extra syrup into cubes and you’ll be ready to make more popsicles whenever the mood strikes! 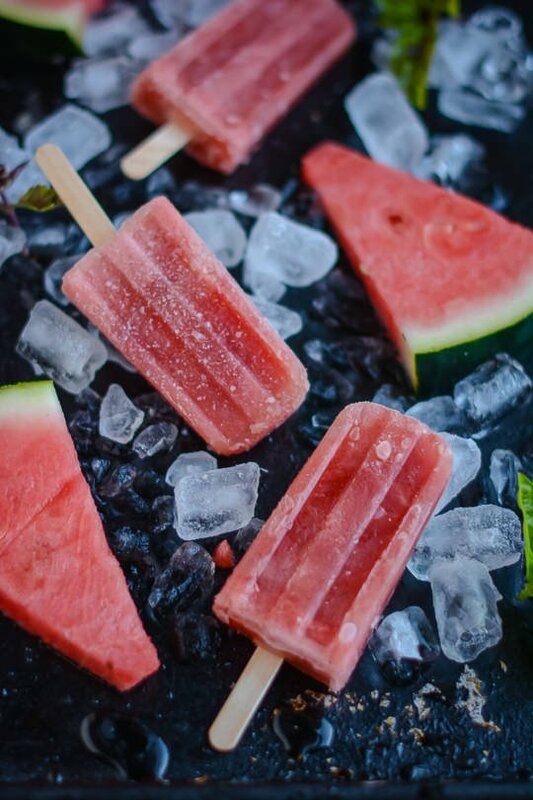 These super refreshing popsicles are perfect way to cool down on a hot summer day! Place the watermelon, basil, salt and 2-3 tablespoons of the ginger syrup into a high speed blender and process until the mixture is smooth. Pour the mixture into 12 popsicle molds and freeze for about 1-2 hours until the mixture is frozen enough to hold a popsicle stick upright. 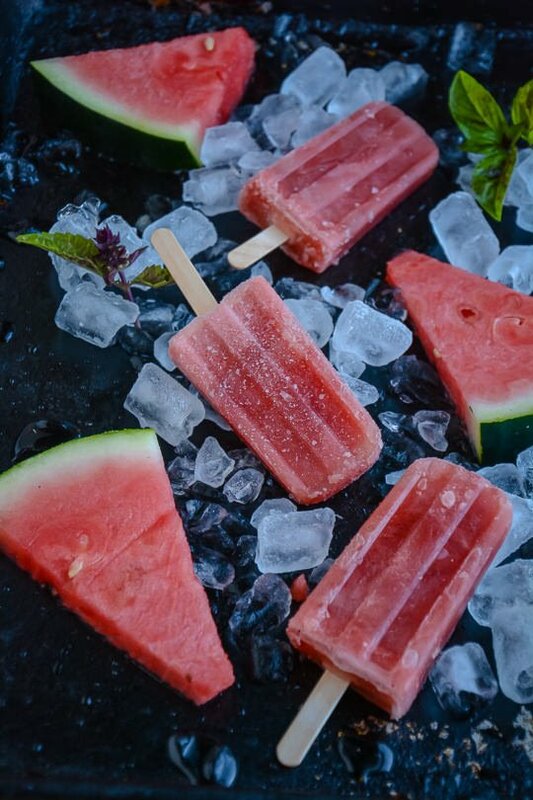 Insert the popsicle sticks and continue to freeze until solid about 3-4 hours. 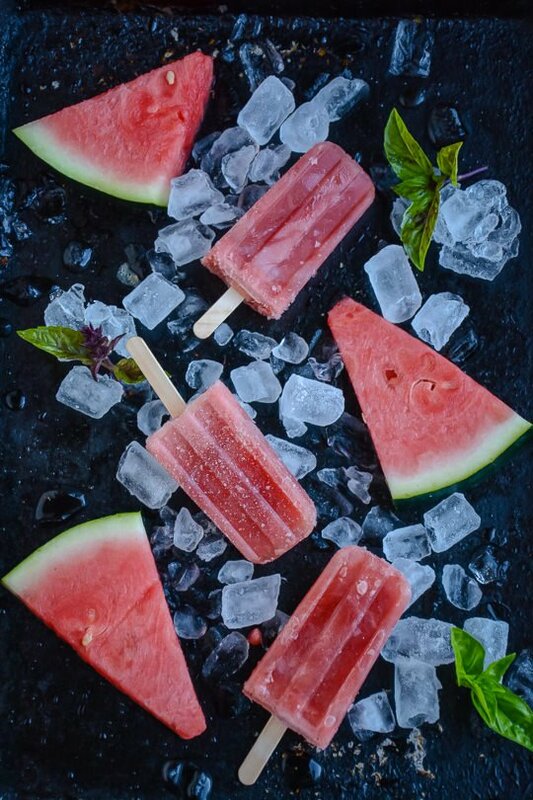 To release the popsicles immerse the molds in warm water for 15 - 20 seconds. Place the water and sugar into a small saucepan and bring to a boil. Heat for 1-2 minutes until the sugar dissolves. Lightly bruise the ginger by pressing the flat of a knife against the coins to release the flavor. Add the ginger and the ¼ cup of basil to the simple syrup and let steep until the mixture is cooled to room temperature. You can keep excess simple syrup in the refrigerator for 10 days or freeze into cubes for up to 6 months.